This project is a continuation of the Mars Space Suit Safety (MS3) and One-way Human Mission to Mars (OHM) projects. This project aims to complete a risk evaluation of a manned mission to Mars, with consideration given to issues such as possible failures and hazards for the habitat, space station and astronaut spacesuit. The safety, health and comfort of astronauts in space are of the utmost priority when considering manned space travel. This group will focuses on space life sciences, including life support systems, human psychology in space and the effects of living in a microgravity environment. Space debris are extremely dangerous for spacecraft and satellite operations and there are tens of thousands of detectable objects in orbit around Earth and finding an effective method to de-orbit them presents a major challenge. This project reviews different de-orbiting techniques and analyses the risks of such methods with a special interest in small LEO satellites. While Venus is not the focus of manned space mission proposals worldwide, an in depth study on the risks and difficulties of such a mission to Venus may change the current perspective on human colonization. This project focuses on safety analysis of a Venus mission and comparisons with missions to Mars. On Orbit Servicing (OOS) is the practice of repairing, restoring and refueling satellites in orbit for profit and the practical difficulties for OOS are highly relevant for the safety and sustainability of space. Technical, economical and legal problems concerning the implementation and regulation of OOS are addressed by this multidisciplinary group. The increasing interest in small spacecraft missions will lead to the extension of reachable orbits and operations, requiring miniaturized low power electrical propulsion systems. The main focus of the group is to study this class of thruster technology readiness level, its applicability for the (2U to 6U) CubeSat class and related safety issues. 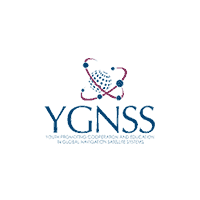 SSS is a very active group focused on the safety and sustainability of space from the perspective of young people and outreach is required to share our research with the public. This group works to inform the public of SSS past, present and future projects, alongside other SSS initiatives like manuscripts and conferences. The education series program aims to raise awareness of space safety and sustainability issues and acts as a starting point for young researchers wishing to enter this field. Two volumes of this series have been released; Space Situational Awareness and Space Weather: Effects on Space Missions. The team is currently preparing the third volume Space Safety featuring topics such as spacecraft risk assessment, space flight and operational safety and legal, policy and ethics.